I work with young women to help them overcome stress, fear and low confidence. Kathryn Pearson is a former secondary school teacher with over 7 years of experience of working closely with young people. Following a life changing experience she left her profession to pursue her dreams of helping young people, just like her younger self - who are lonely, bewildered and scared. 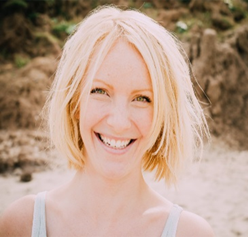 Now an EFT practitioner and specialised Teen Yoga teacher, she specialises in helping sensitive teens and young women combat stress, fear and worry. Her mission is to give the next generation the confidence and tools to break free from negative thinking and be able to follow their dreams much earlier than she did! Kathryn is currently writing her 1st self-help book for teenagers.